Boeing Helicopters built the revolutionary tilt-rotor aircraft that takes off, hover and lands vertically like a helicopter and cruise like an airplane. During takeoff the wing-mounted engine pods or nacelles positioned vertically upward and once airborne rotors tilt horizontally to fly like a turboprop airplane. 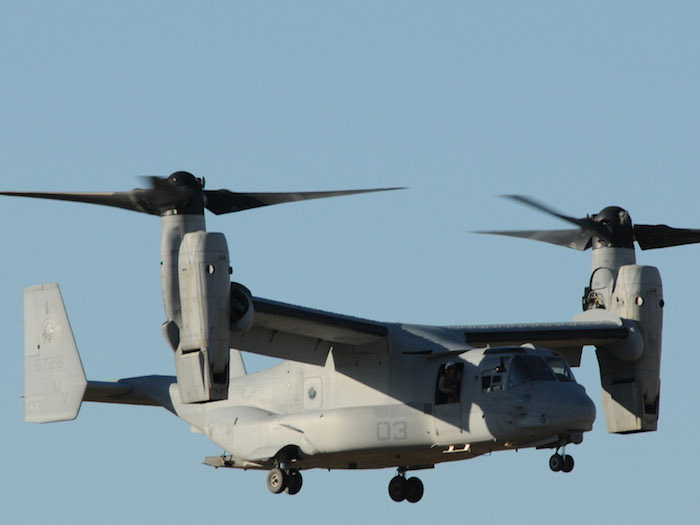 Osprey has two, large 38ft, three-bladed rotors that rotate in opposite direction, that eliminated the need for a tail-rotor to provide stability as in a helicopter. 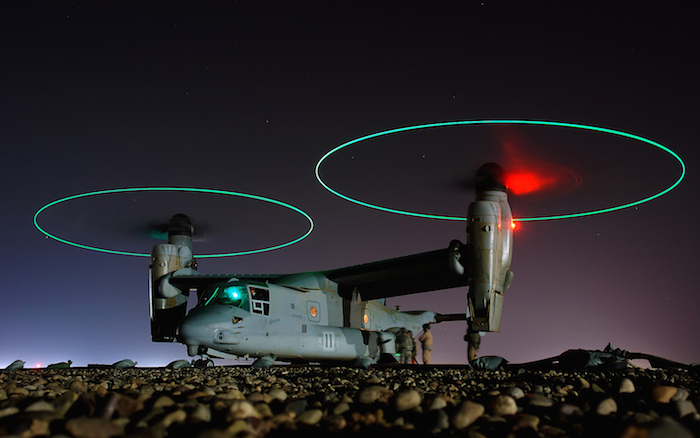 In 12 seconds, an Osprey can change from helicopter mode to airplane mode and generate lift. It can carry 20,000lbs of cargo or 24 troops at an altitude of 26,000ft with a cruising speed of 510km/h. The osprey has 16 fuel tanks and mid air fueling capabilities and can fly for 8 hours non-stop. As the fuel flows from the tanks, pressurized nitrogen gas fills the tanks to reduce the possibility of fire. The blades and the wings are both foldable that allows osprey to be stowed in a war ship. The program and production cost 50 billion USD.